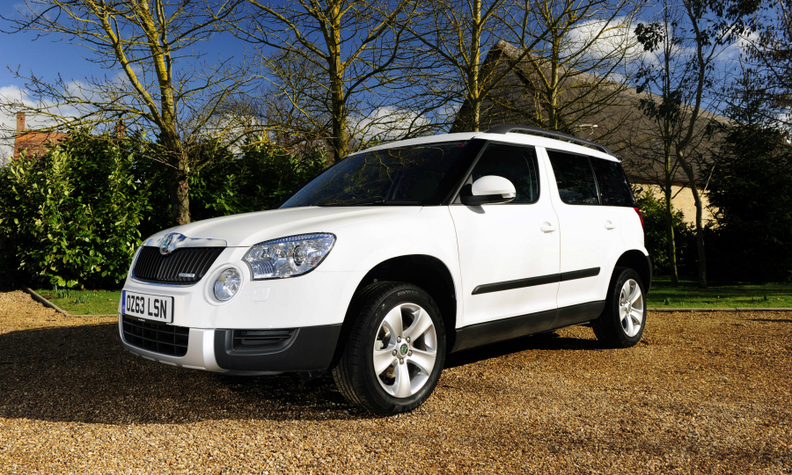 The Yeti was one of up to 11 million VW Group vehicles worldwide fitted with 'cheat' diesel engines. BERLIN -- Volkswagen Group has been ordered by a German court to take back a 2.0-liter diesel Skoda Yeti caught up in its emissions scandal and pay the buyer about 26,500 euros ($28,300), the full price of his car. VW intentionally committed fraud and can't defend itself by saying it hasn't clarified who was responsible for software that allowed the vehicle to cheat on emissions tests, the court in Hildesheim said. According to a local media report, the 68-year-old customer bought the Yeti crossover from a dealership in 2013 for 26,500 euros. He took VW to court claiming a reduction in the car's value following a fix to its engine software, following a recall. The decision is the second this month from a German court that may give momentum to a host of suits seeking compensation for consumers. The statement from three judges used harsh language rarely found in court press releases, with underlined sentences like "illegal manipulation of engine control" and "illicit deviation of pertinent rules." The judges compared the diesel-emissions cheating to a European consumer scandal in 2013 involving the discovery of illegal horse meat in products such as frozen lasagna. "The use of engine software is a decision with enormous economic ramifications, so it's hardly believable that it was taken by a low-ranking developer," the court, which is about an hour's drive from VW's headquarters in Wolfsburg, said. Download court ruling in German, above right. The judges also referred to another European consumer scandal, the use of antifreeze to sweeten wine in the 1980s. VW spokesman Nicolai Laude said the carmaker is sure the ruling will be overturned on appeal. The judges took a view that has been rejected by courts in other cities, including Cologne and Ellwangen, he said. The company reached a $4.3 billion settlement with U.S. authorities in the diesel scandal last week. VW admitted to using false statements to import cars to the U.S. and obstructing investigations when authorities grew suspicious of the emissions levels from the diesel engines as part of the deal. The judges in Hildesheim backed arguments another group of lawyers have put forward in a "sample suit" that is seeking payouts for thousands of VW customers. That complaint, filed in Brunswick in VW's home state, relies on civil tort law, rather than contracts, to allow more drivers to sue VW. While it's normally easier to make a case under contract laws, the Hildesheim court ruled that the tort-law argument relying on VW's use of deception is valid. The case is: LG Hildesheim, 3 O 139/16.